Did you guys make it out to "Pink Sunday" as people are dubbing the launch of the Lilly Pulitzer for Target launch? I'm pretty sure my boyfriend thought I was insane for waking up early & planning my day around shopping. I'd had it marked on my calendar since I first heard the news! As soon as the doors opened at our store in Wisconsin there was literally girls running to the racks. Thankfully, everyone was nice & even sharing their bounty. I even ran into a few of my old co-workers & Kaylee of Pleats and Pearls! It was absolutely insane but a ton of fun. I even ended up with quite a few colorful Lilly Pulitzer for Target pieces. It wasn't beneath me to shop the kids section either! I'm so sorry for everyone who had a poor experience! I'm definitely not cut out for stressful shopping, but it was an experience to say the least! As a former fashion buyer, I can't imagine the nightmare it must be planning an event like that! These were the treasures I was able to score on opening day. Unable to score anything at the sale & refuse to pay exorbitant eBay prices (ridiculous!)? I've rounded up a few of my favorite preppy pink and green Lilly inspired style and decor pieces so you don't have to get Fashion FOMO! 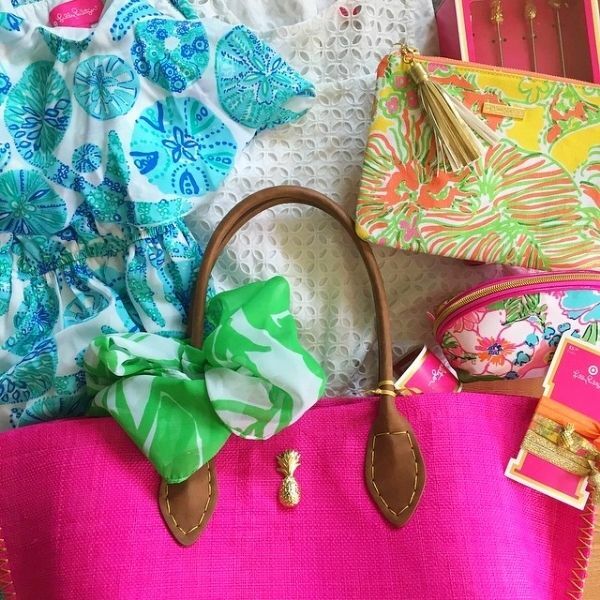 Even though these pieces aren't Lilly, they still have that preppy, Palm Beach feel. I can't get enough of gingham & eyelet, monograms, pineapples & punchy prints and this is the perfect time of year to wear them! 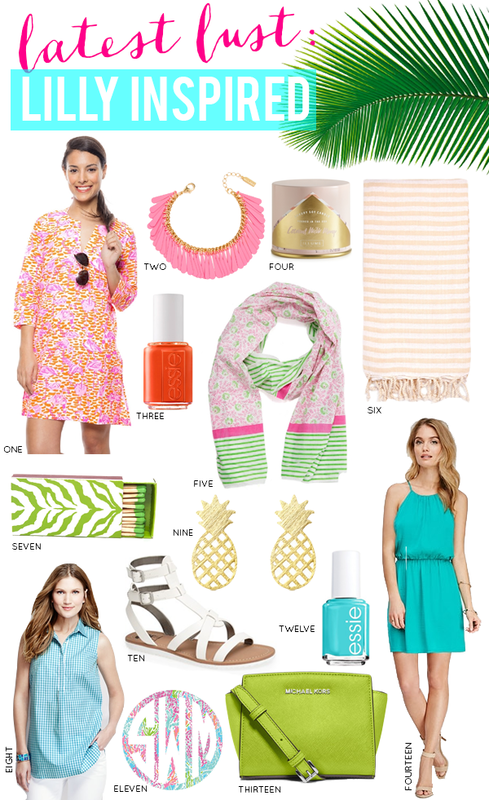 Still have your heart set on one of the Lilly Pulitzer for Target pieces? I recommend checking back at your local store this week for any returns or exchanges that have come in! Did you participate in the craziness of "Pink Sunday"? Congratulations on scoring such a great Lily haul! Dang, you totally scored! I only managed to find one top and it was one size too big for me! Bought it anyway!